COLUMBUS, Ohio -- Two Ohio prisoners took discarded computers and used them to access the prison’s network, create inmate passes for restricted areas and apply for credit cards under another inmate’s name for a planned tax fraud scheme, the state’s government watchdog said. 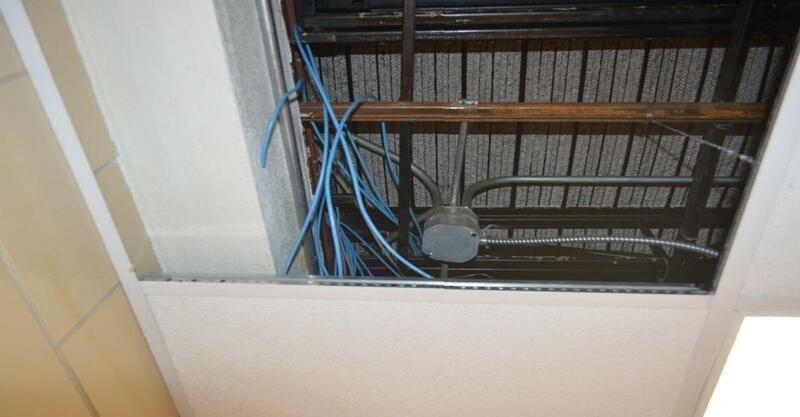 The inspector general’s Tuesday report says a lack of supervision at the Marion Correctional Institution enabled the inmates to hide two computers in the ceiling and run wiring to connect to the prison network. The prisoners were able to access the internal records of other inmates. One prisoner planned to steal the identity of a fellow inmate and file tax returns under that inmate’s name, officials said. The inmates accessed websites that had information about manufacturing drugs and makeshift weapons, according to the report. The scheme was discovered by prison technology employee Gene Brady, who was alerted when an inmate tried to bypass security controls using the stolen username and password of a former employee. Brady had allowed the prisoners to go through salvage computers and other hardware, authorities said. He has since been placed on paid leave. Investigators concluded prison officials didn’t properly report the problem after finding the computers in July 2015. Officials say then-Warden Jason Bunting failed to report the criminal activity to both the State Highway Patrol and the inspector general. Bunting later resigned from his post at Marion to become superintendent of the Northwest Ohio Development Center. A prisons spokeswoman said authorities took steps to address some of those findings and will review the report to determine if any further action needed. A Marion County prosecutor and the Ohio Ethics Commission are expected to review the findings to determine if any employees should be disciplined. Officials also will determine if the prison Wi-Fi networks need to be strengthened.